Prohibition consumed Seattle, igniting a war that lasted nearly twenty years and played out in the streets, waterways and even town hall. Roy Olmstead, formerly a Seattle police officer, became the King of the Seattle Bootleggers, and Johnny Schnarr, running liquor down from Canada, revolutionized the speedboat industry. Frank Gatt, a south Seattle restaurateur, started the state's biggest moonshining operation. Skirting around the law, the Coast Guard and the zealous assistant director of the Seattle Prohibition Bureau, William Whitney, was no simple feat, but many rose to the challenge. 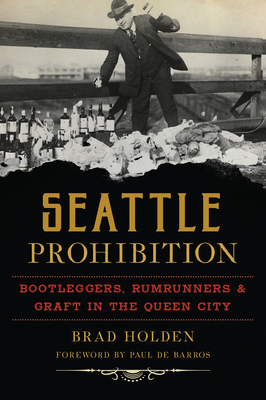 Author Brad Holden tells the spectacular story of Seattle in the time of Prohibition.